Jack Long resident of Martin, SD passed away on Sept.15, 2018 at Fort Meade Community Center Hospice, Sturgis, SD at the age of 84 years. Jack was born to Keith “Shorty” and Mae Long on July 28, 1934 in Thurston, Neb. Sometime later the family moved to Harrington, SD. There Jack attended school and helped on the family farm. On February 2, 1955, he enlisted in the Army and served until Jan. 25, 1957. After marring Phyllis Lyon on June 14, 1962, he made his home in Vetal. Raising cattle and helping neighbors with farming. While living in Vetal, Jack was instrumental in helping develop the Vetal Volunteer Fire Department. In 1969, the Jack Long family of 5 moved to a farm east of Martin, where he continued to reside until his passing. 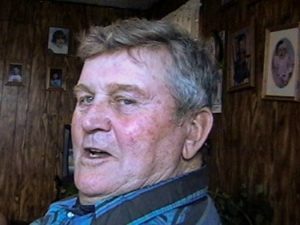 Jack raised cattle, horses, hogs, sheep, goats, geese, ducks, chickens, kids and grandkids. Among the crops he farmed were wheat, corn, barley, oats, millet and alfalfa. He loved his grandchildren but he had one who taught him a lesson about keys and kids. One day as he was checking on some hogs his granddaughter Reba decided she was big enough to drive. She started the truck and went for a short drive. This brought grandpa running and opening the door causing her to scamper to the other side of the truck. After this the keys would be “hidden” from her. That didn’t stop her. When the keys were not in their normal hiding spot Reba would find them and put them where they belonged. This caused the adults to be anxiously looking for the keys. When asked if she knew where they were she would calmly pull them from the hiding spot. Jack and his grandson, Austin Thayer, were nearly inseparable. Austin will carry on the legacy of farming that he learned at the side of his grandpa. Jack will be sadly missed by his children: Debbie(Richard) Taylor of Greenfield, OH, Gary Long(Rowena Cruz) of Valentine, NE, Helen(Keith) Stehlik of Vetal, SD, Carol Shepler of Valentine, NE and Mickie (Veldon)Thayer of Martin, SD, his grandchildren; Nathaniel(Annalisa) Taylor, Angela Cruz, Reba Stehlik, Nolan(Joya) Taylor, Amanda Holcomb, Tanya Stehlik, Sean Shepler, Austin Thayer, Jackie Thayer, and Naomi Thayer, and great grandchildren, Robert Taylor, Holly Stehlik, Riggen Holcomb, Eliana Taylor and Tayah Holcomb, His sisters: Margie Judd of Chandler, AZ, and Judy Meyer of Alliance, NE and one brother Arnie Long of Gillette, WY and a sister-in-law Jeanie Long of Martin, SD. He was preceded in death by his parents: Keith “Shorty” and Mae (Merchen) Long, brothers: Ronald, Donald, and Marvin, and his daughter: Norma Orr. Funeral service for Jack A. Long age 84 of Martin were held on Saturday, Sept. 22, 2018 at 10 am. in the old Legion Building in Martin with Rev. Bill Hines officiating. Burial was in the Winner City Cemetery, Winner, SD. A memorial has been established and donations may be sent in care of Bennett County Funeral Service, PO Box 65, Martin, SD 57551.